1. 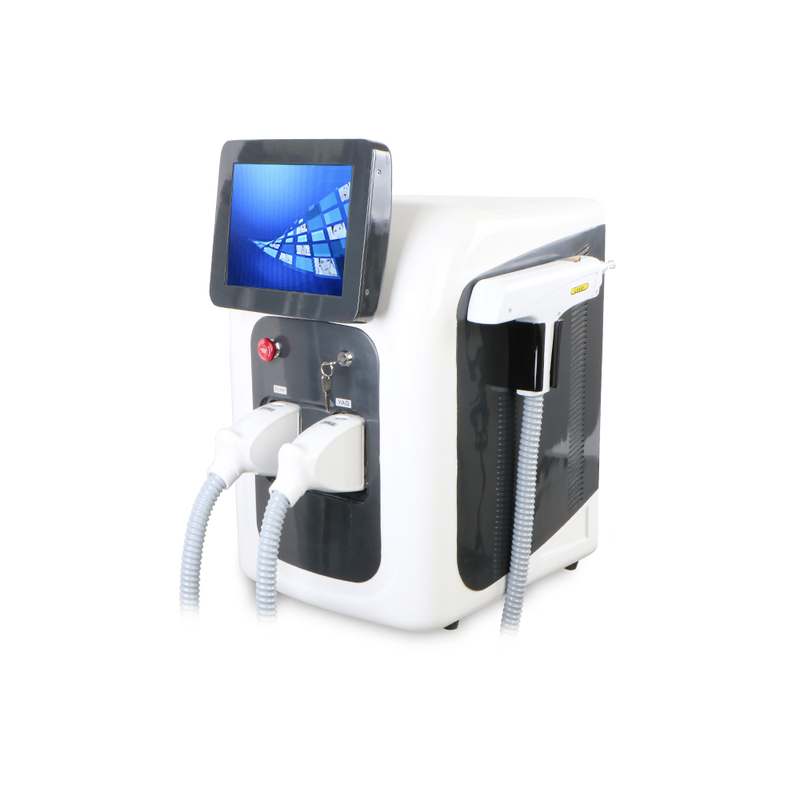 Applying all the advantages of IPL and Yag technique, make the operation effect more conspicuous. 2. Modularized assembling, strong sta bility, Short operation period with outstanding effect. 3. Fully intelligent detecting system, avoid device damage caused by improper handling,Remove pigmentation without side effects . 4. 8\" TFT True Color Screen, functionalized designing menu, visual and easy handling. 5. Bran-new cooling system, super water cooling supplying for long time continuous working. 6. Artful lines designing, manual mechanic accordant operation handle, make the system Hi-tech and fashionable. Birthmark, nevus/mole: 3-7 times each 45-90 days, must have blood infiltration.